Few artists have had such a meteoric rise in the music industry as Bette Smith. Only a few years off her first singles and mixtapes, Smith already has the passion, drive and success that many new artists dream of. She is the next soul-songbird to represent New York and the latest to find her voice in the American deep South. 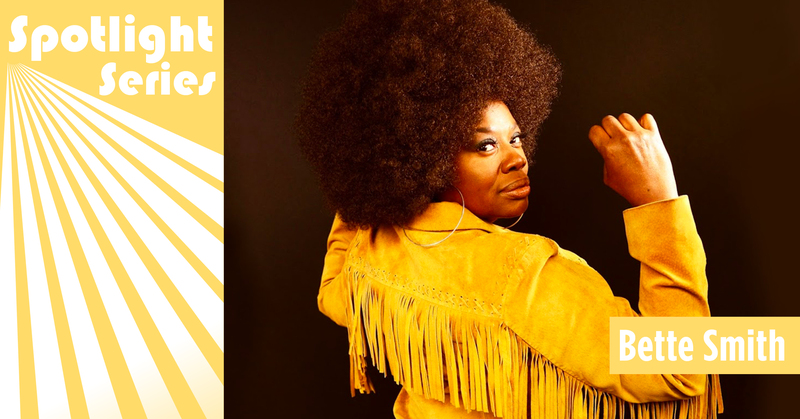 Now, on the heels of her first-ever national tour, Smith is taking the stage at Levitt Shell Memphis tonight at 7 PM to perform her funky, jazzy soul that has everyone from California to Mississippi raving. Read on to learn more about what put Smith on the soul train, her connection to Ray Charles and why Memphis audiences have a spectacular show to look forward to. Smith’s story begins from a young age, when her parents told her that soul music was to be kept within the walls of the church. They supported her singing and vocal lessons as long as she adhered to this request—anytime she even played secular music, she was punished. Her brother Junior was more sympathetic to her passion and would sometimes sneak her some Otis Redding or Gladys Knight in defiance of their parents. Though born and raised in Brooklyn, Smith chose to move to Los Angeles as a young adult where, for seven years, she practiced her soul singing on the side while working other jobs. It was there that she was introduced to Ray Charles via Seth Riggs, their mutual voice coach. Charles was excited to work with Smith, who was quickly realizing that this was her big break. However, fate would have it another way—Charles passed away within weeks of their first meeting, and Smith would soon after pick up her bags and move back to New York. While working as secretary in Brooklyn by day and performing at street fairs or weddings in her free time, Smith had another stroke of luck. A friend of famed big-band and soul producer Jimbo Mathus heard Smith singing at a fair and put her in touch with Mathus. Soon she found herself in his studio in Mississippi alongside his esteemed southern band Squirrel Nut Zippers as they played backing to what would become the first pieces of her 2017 debut album, Jetlagger. The combination of big brass and big voice immediately won over audiences and critics alike, who praised her ability to fluently flip between smooth gospel and husky soul in a heartbeat. Within two months of her record’s release, NPR was already giving her the spotlight as part of their World Café series. 2018 has brought Smith all over the US as part of her first tour in support of Jetlagger. From church to Charles to critical acclaim, Smith has had a long journey—but her career’s just getting started. Memphis audiences will have a chance to see this soul legend in the making tonight, so if you’re in the area, be sure to arrive early for the amazing night ahead. This entry was posted in Levitt Artists, Spotlight Series and tagged Bette Smith, Levitt Shell Memphis on October 12, 2018 by Benj Salkind.